From May 31 – June 2 this week, in Rancho Palos Verdes, California, the third annual Code Conference occurred. At this invitation-only series, leading experts discuss technological advances, and look ahead to the future. This year’s event featured Amazon CEO Jeff Bezos, Google CEO Sundar Pichai, Twitter CEO Jack Dorsey, as well as many others. 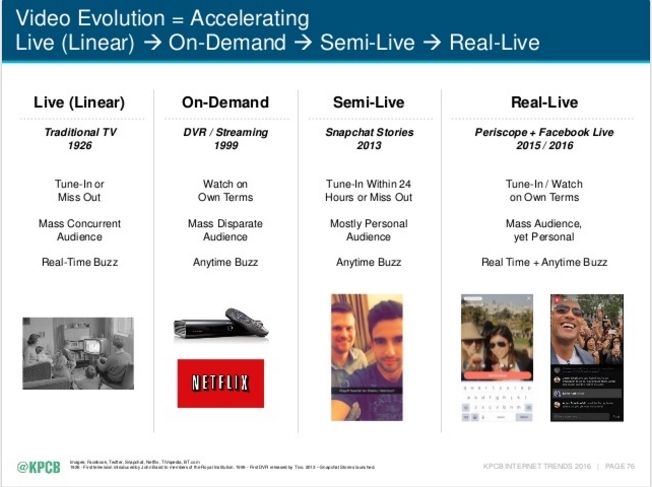 As has been the case in the previous two Code Conferences, TV was a big topic. During a conversation with celebrity news website TMZ founder Harvey Levin, the executive offered some intriguing thoughts on the future of television. Media attendees were a bit skeptical. Venture capitalist Mary Meeker once again released her lauded Internet trends report, which included the evolving path of television, as well as voice search and automobile computing. 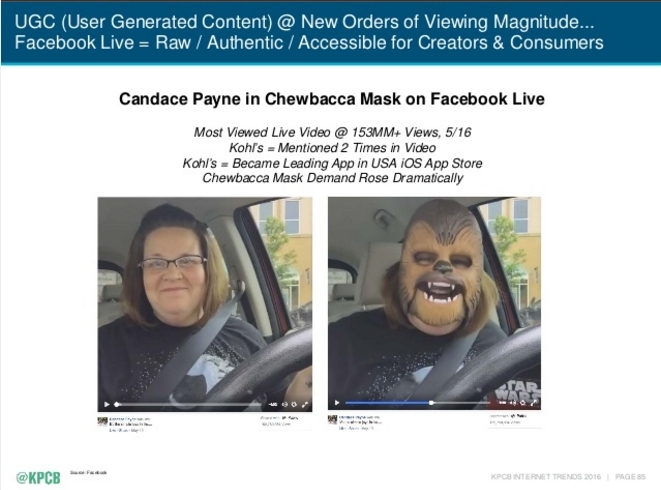 Facebook Live Video is referred to as a “new paradigm for live broadcasting.” Specifically, the impact of the recent viral hit “Chewbacca mom” video is analyzed; Kohl’s was mentioned twice in the 154 million+ viewed video, and it soon became the leading app in the iOS store. Meeker also covers how live streaming is making live sports even more social. 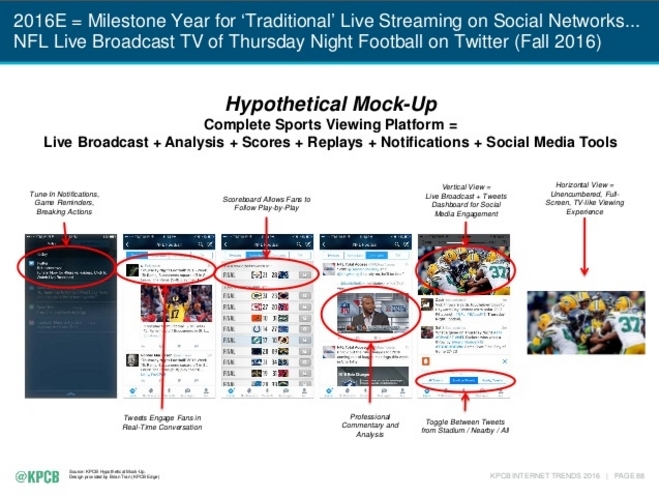 Various apps allow fans to receive notifications, engage with other sports enthusiasts, and check out scoreboards. 2016 has been a breakthrough year, in this regard. 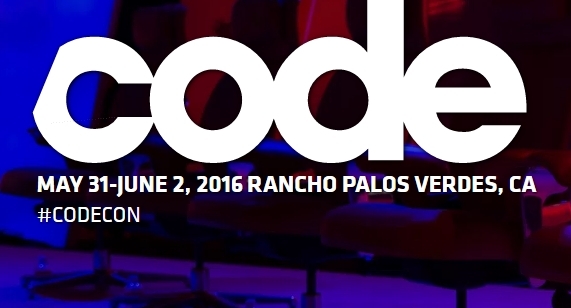 Code Con was greatly praised this year, next year’s will likely be even more anticipated.